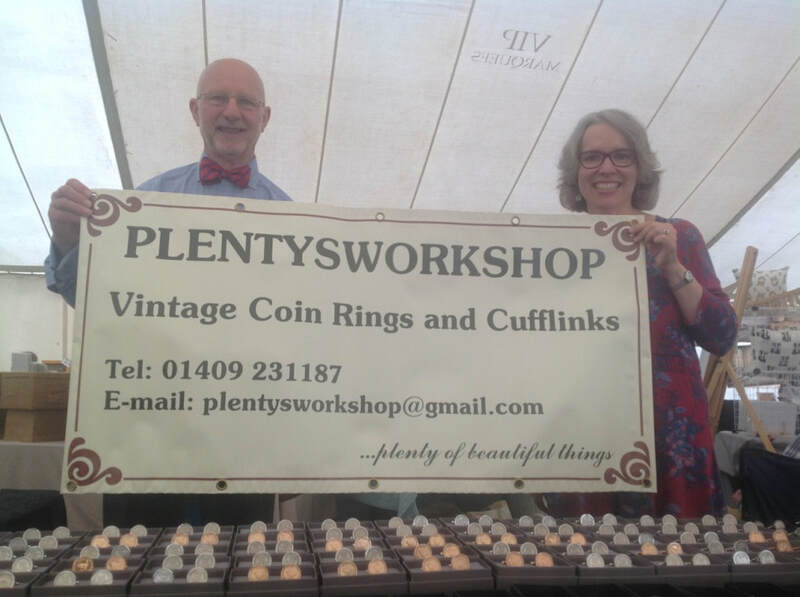 At PLENTYSWORKSHOP we make beautiful rings, dazzling cufflinks, stunning keyrings and other fine jewellery out of vintage dated coins from half crowns to farthings. Enjoy wearing a piece of history to honour a special occasion, birthday or anniversary. To order, Contact Us or see our Events Diary for details of where our coin rings, cufflinks, keyrings and other coin products are available at craft fairs, shows and events throughout Devon and South West England. At PLENTYSWORKSHOP, we promise to provide you with beautiful products and excellent customer service. Please be advised that some coins contain nickel.. If you think you might have a sensitivity to nickel, please enquire as to the best choice of product for you.